as our heart harmonic richness or inclusiveness is decreasing. 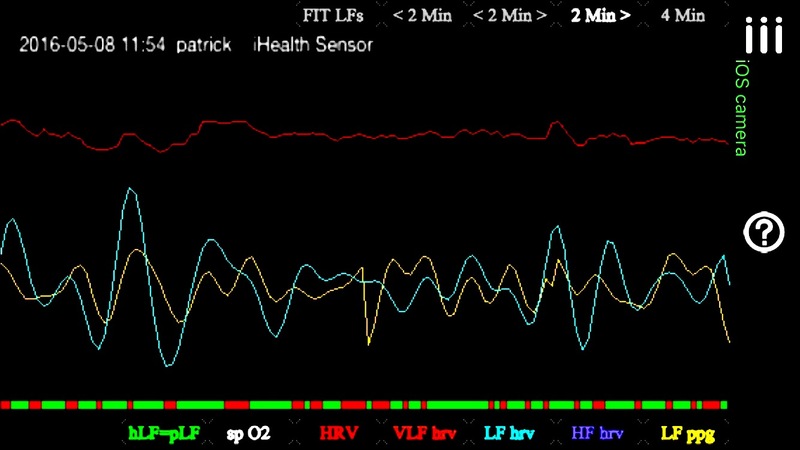 does directly indicate immune health and longevity. 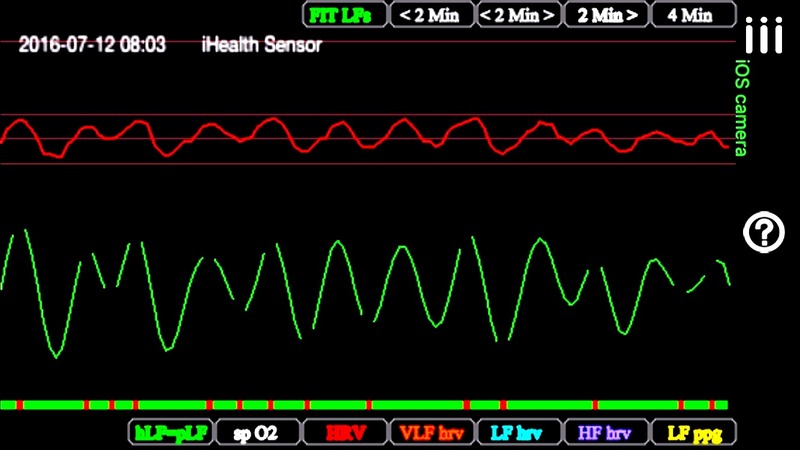 This means the multi-tonal heart is healthy and the mono-tone heart is less so. This is a simple but fundamental concept. 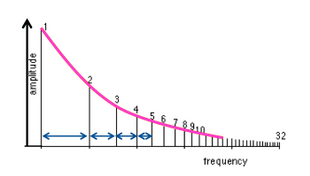 Particularly when we realize golden ratio allows the MOST number of harmonics to be present at once- constructively- and quite literally making the fractal / perfect compression. 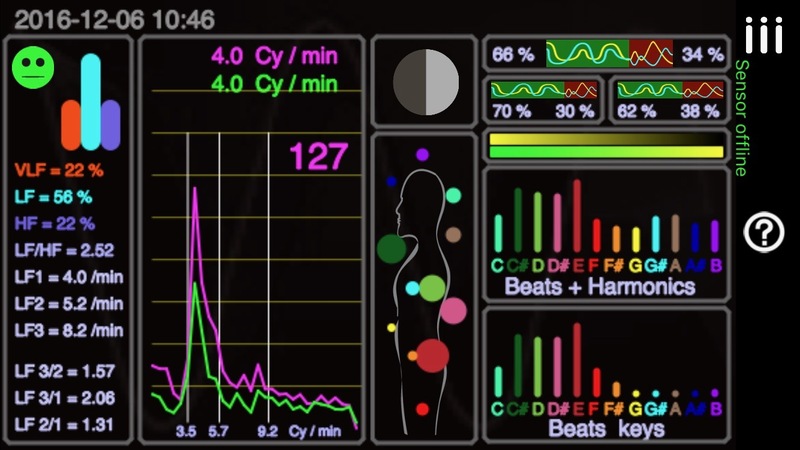 Interacting with our heart waves helps recovering body waves harmony (harmonic INCLUSIVENES – perfect embedding – fractality). 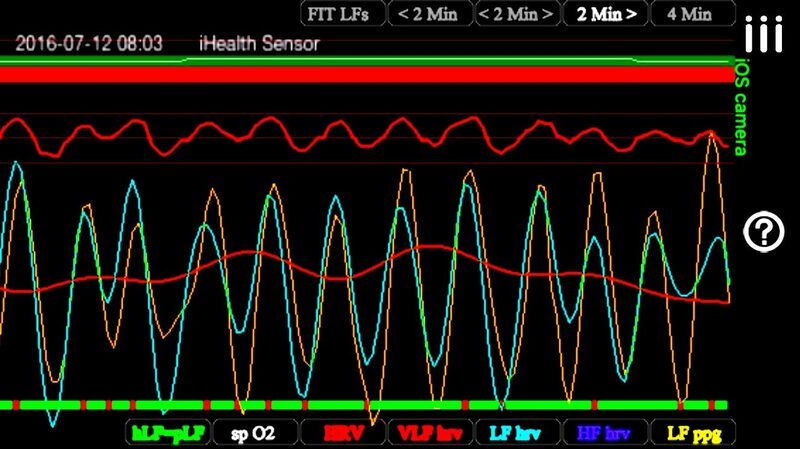 This can be easily acheived through breathing sessions paced around a 0.1 Hz frequency (6 cycles/minute) – frequency in relationship with the Mayer wave blood pressure variation and also the sacro-cranial wave discovered in osteopathy. HRV Coherence was originally defined as the size of the biggest LF peak compared to the amplitude of the broad HRV spectra (VLF+LF+HF bands). 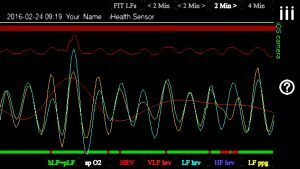 This way of analysis assumes you are breathing at a constant and fixed frequency (using a pacer around 0.1 Hz – 6 cycles/minute)) during the breathing session. 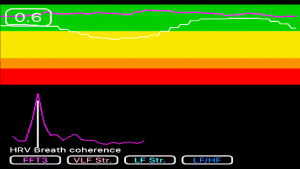 Another way to extract coherence from the heart HRV spectrum, is to analyze the relationship between all the peaks present in the spectrum. 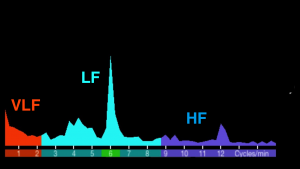 The more these peaks will be related to musical (or golden) ratios, the more your HRV will be coherent (harmonic inclusiveness – perfect embedding – fractal). 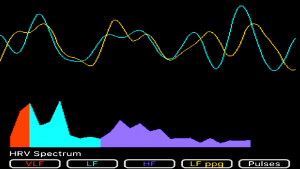 The musical relationship between the peaks is defined by musical (or golden) ratios. 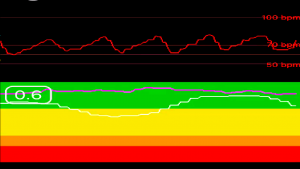 These ratios are related by the respective sizes of the peaks and their relative position in the spectrum. 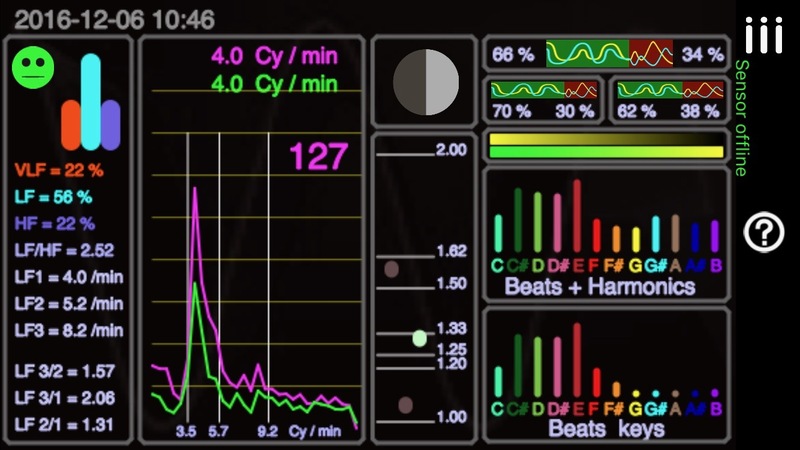 This could be visualized as an analysis for regularly spaced patterns in the shape of the purple line linking all the peaks of the spectrum. 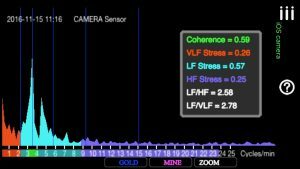 To evaluate the internal coherence relationship between all the peaks, we have introduced a new kind of mathematical analysis of 3rd order FFT (Fast Fourier Transform) of the broad HRV spectra. 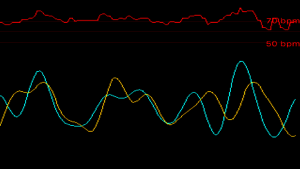 When the relationship between the HRV spectrum peaks follows an harmonic inclusiveness shape, this way of analysis displays a new kind of coherence peak. 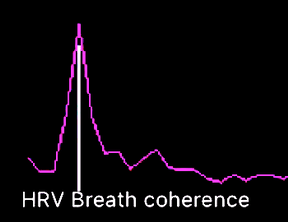 The size of the peak is related to the overall coherence of the broad HRV spectrum. 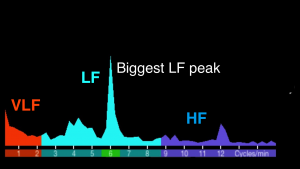 If the frequency of your breathing is changing during the session, the LF peak of the whole training session will be larger (or can even be duplicated); and the size of the biggest peak will be affected, resulting a lower global coherence value. As this Broad Spectra way of analysis takes the whole HRV spectrum into account (and not only the biggest LF peak, the coherence analysis can still be acheived, even if you do not respect (or use) a fixed breathing pacer. 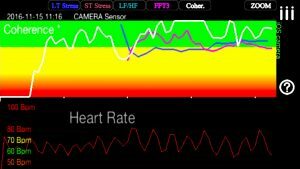 The Broad Spectra analysis allows slow breathing sessions “around” a fixed frequency (as fixed frequencies are more enriched in real physiology).